barbie is making moves to broaden the definition of beautiful. in june, mattel will debut a doll that uses a wheelchair and a doll with a removable prosthetic leg as part of its barbie fashionistas line. the american toy manufacturing company has made a habit of listening to consumer demands in recent years, releasing barbies with more diverse body types and colors. it has also given barbies a wider range of aspirational careers including doctor, pilot and robotics engineer. 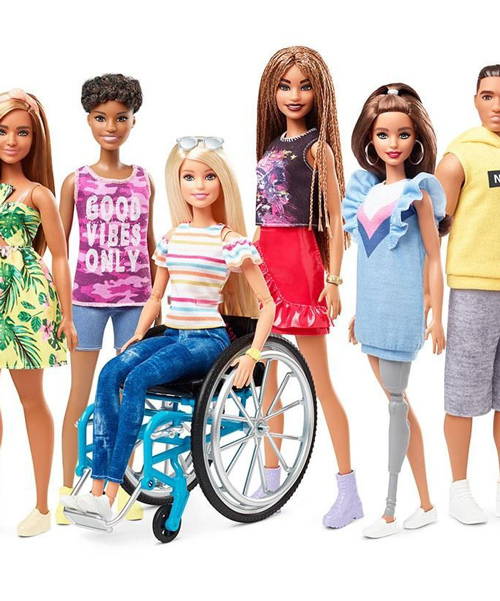 ‘as a brand, we can elevate the conversation around physical disabilities by including them into our fashion doll line to further showcase a multi-dimensional view of beauty and fashion‘, mattel said in a press release. ‘over the years, the [barbie fashionistas] line has evolved to be more reflective of the world girls see around them. we’re excited to expand our offerings as the most diverse and inclusive doll line in the world’, it notes on its instagram. here’s a little bit of barbie history for you: this isn’t the first time creators have tried to make back the doll’s world more inclusive. 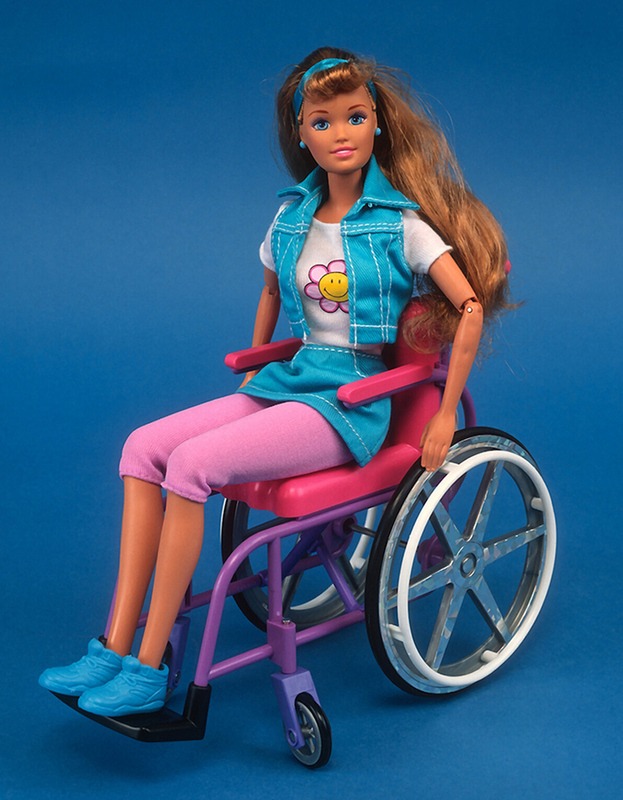 back in 1997 mattel introduced ‘wheelchair becky’, a barbie friend who used a wheel chair. she wasn’t around for long though. as it turned out the wheelchair wasn’t compatible with other barbie accessories and mattel had to rejig the doll, giving her a different chair and shorter hair (which would get stuck in the wheels). eventually she vanished after being re-branded and successfully sold as ‘share-a-smile becky’, with many speculating that mattel stopped producing more wheelchair dolls because it would require changing all other barbie products. expected later this year, the doll intended for the wheelchair will have an articulated body so she can easily sit in the chair, but other dolls within the made to move line can also be used with the wheelchair. 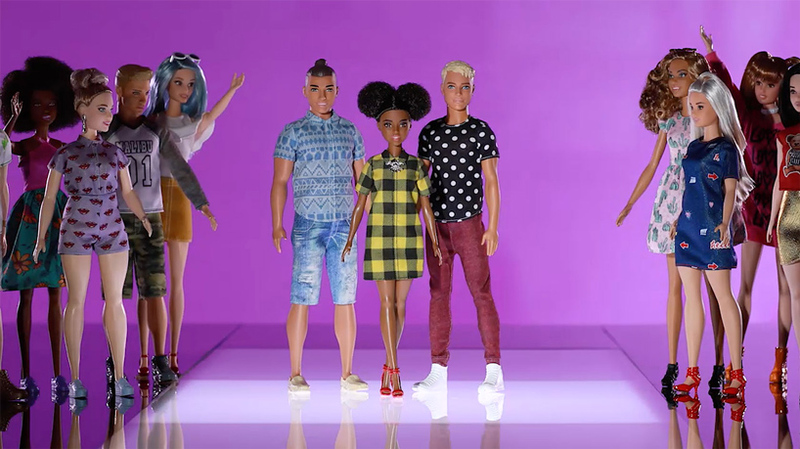 the new release of fashionista dolls will include models with braided hair texture and new body types including a smaller bust, less defined waist and more defined arms. the doll, wheelchair, and compatible dreamhouse ramp will retail for $19.99 USD. other fashionista dolls sell for $9.99, including the doll with the removable prosthetic limb. in other news, new emojis continue to emphasise inclusivity with new options including a guide dog, hindu temple, symbols for the deaf and disabled as well as an emoji of two people holding hands with a total of 171 gender and skin and hair tone variations. That is what I call inclusive design, bravo!!! what about the price? is it inclusive too? Is there a trans Barbie?